Kitchens are important. 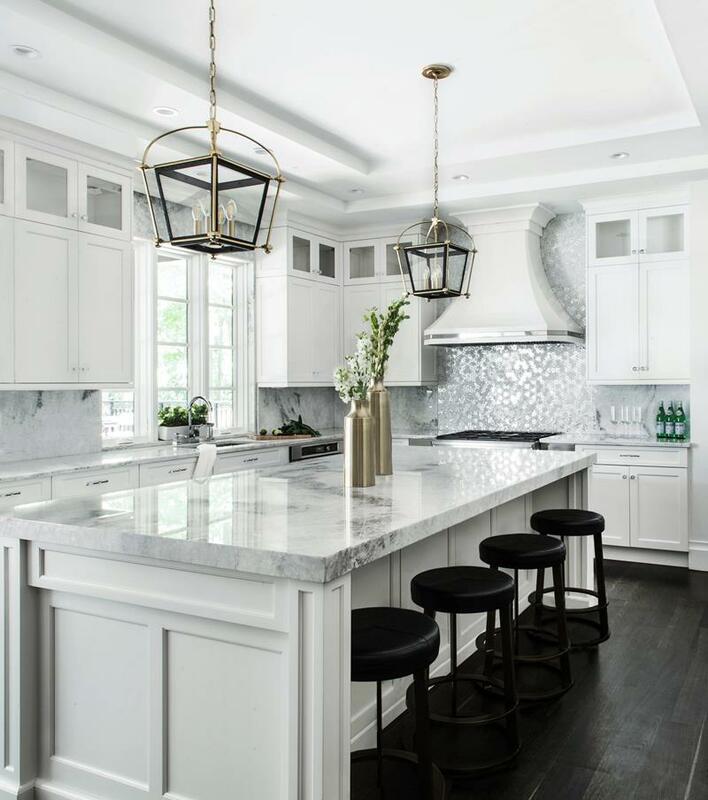 You will be spending so much time in your kitchen, whether cooking or just hanging out, that you want to design it in a way that you will love for years to come. If you have a U-shaped kitchen, or are going to be designing one, we want to show you some amazing design possibilities. 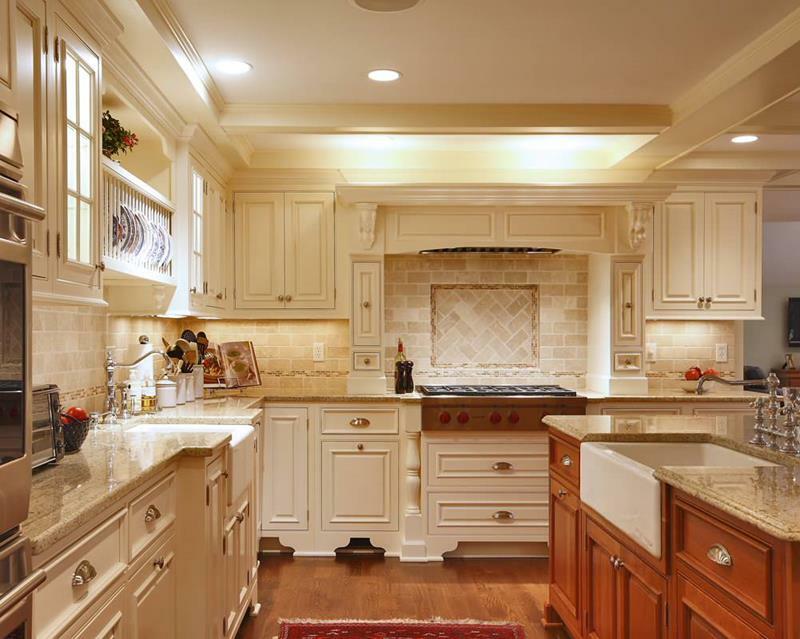 Below, we have gathered a wide variety of U-shaped styled kitchens. They range from more modern styles to some classic ones that you will love. You will see wonderful center islands as well as some with dining options built in. 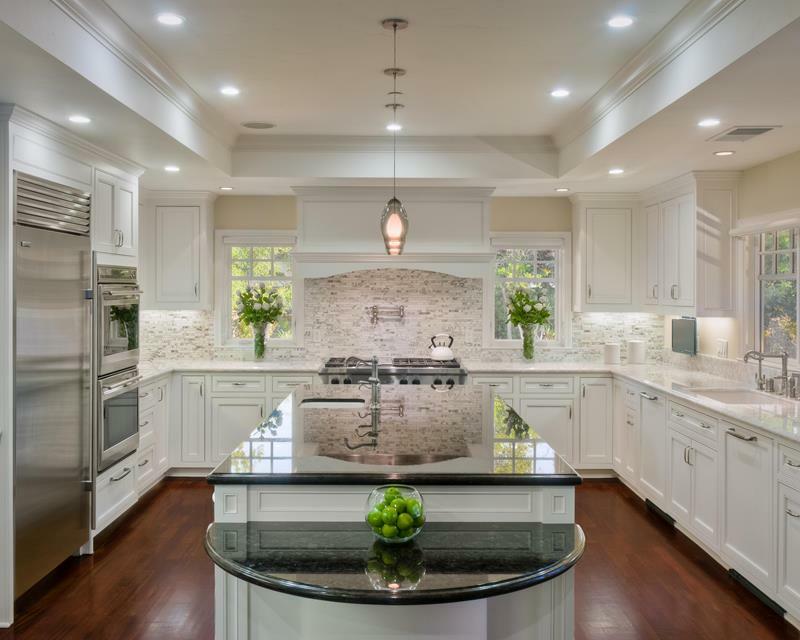 Browse through our gallery below to get a head start on ideas for your next kitchen design. 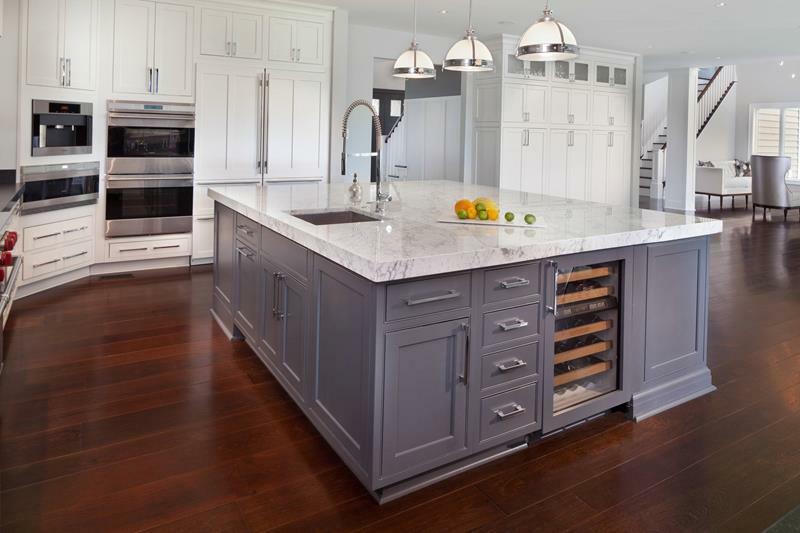 From the beautiful hardwood floor to the bold dark hardwood center island, this kitchen is a thing of beauty. The luxury here is evident. 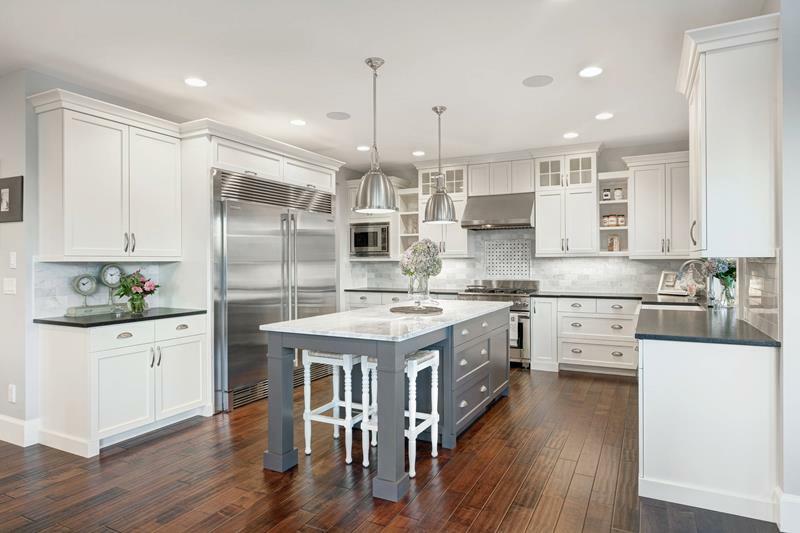 This tall kitchen carries an elegant theme throughout, with plenty of room to move around and a center island to give you extra cooking space. This durable darker hardwood floor has larger planks that stand the test of time. 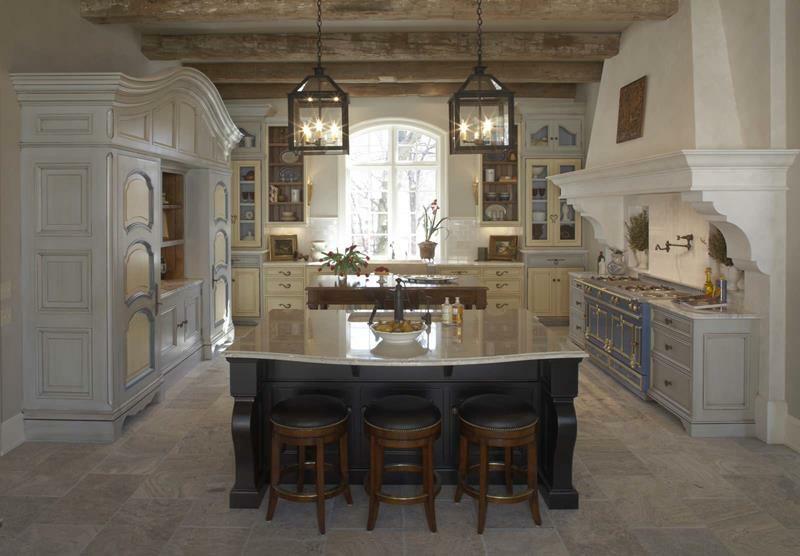 This whole space blends perfectly with a traditional style. The color scheme here is absolutely perfect. Matching the dark hardwood floor with beautiful earth tones is such a great idea. Photo by Alexander Design Group, Inc. This space take a traditional style. From the lighter cabinets that match with the darker hardwood floor to the classic farm style sink, this kitchen is great. 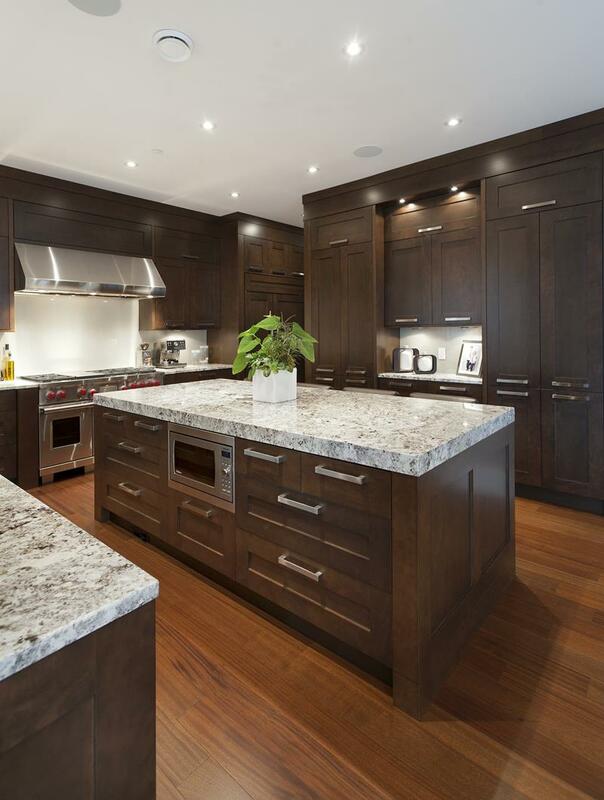 The extension to this center island has a dark hardwood counter that perfectly matches the floor in this kitchen. The light cabinet style creates a great contrast. The bold darker hardwood floor here is matched by the center island counter top and chairs for a wonderful look. This room has a wonderful design that contrasts well with the dark hardwood floor. 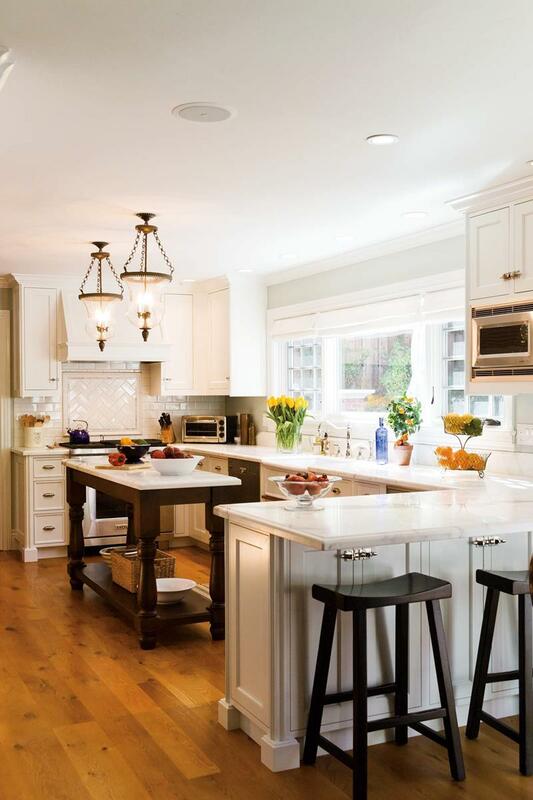 With a beautiful counter top, this space is traditional and elegant. 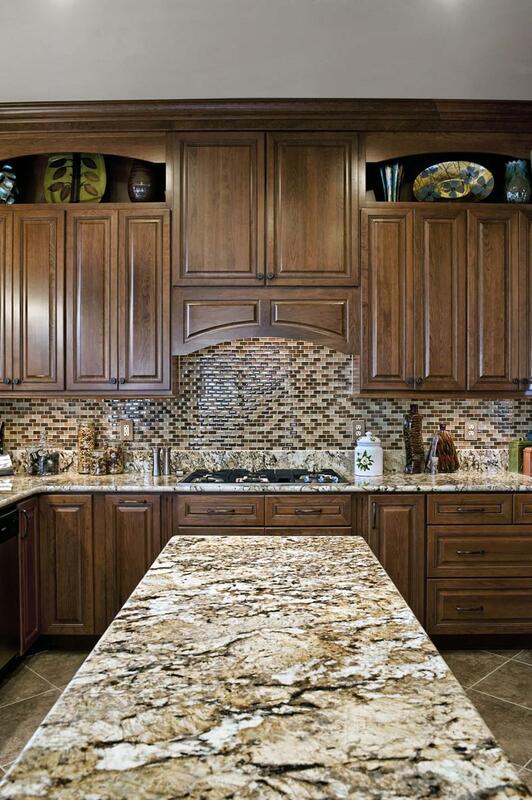 We love the bold darker wood tones of the cabinets and center island here. They are a wonderful match with the hardwood floor. The darker hardwood styles around this kitchen, from the hood vent to the floor and window trim, perfectly match the stone style. 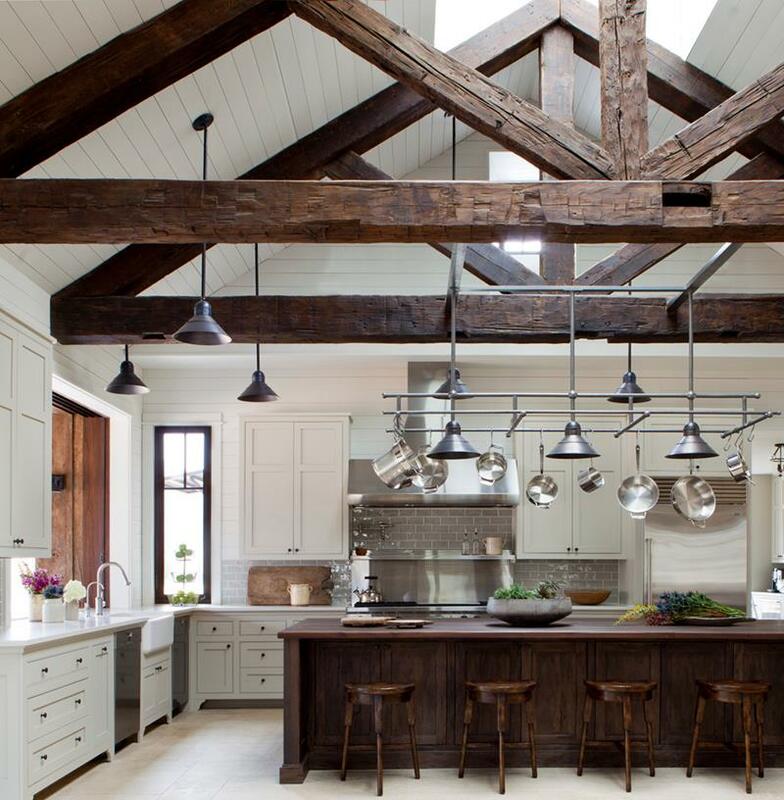 When you have beautiful dark hardwood beams overhead like this, you can really design a wonderful space around them. This kitchen is rustic and industrial, perfect for you. This comfortable space has bold dark hardwood cabinets to match the beautiful floor. The backsplash is a perfect balance for the overall look. 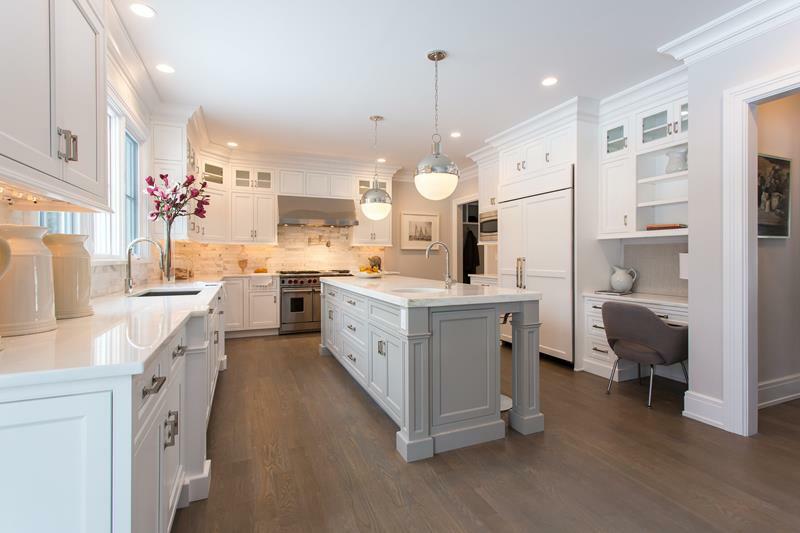 Designing around this beautiful dark hardwood floor, this kitchen uses a light and elegant color scheme. The reflective backsplash really works here. 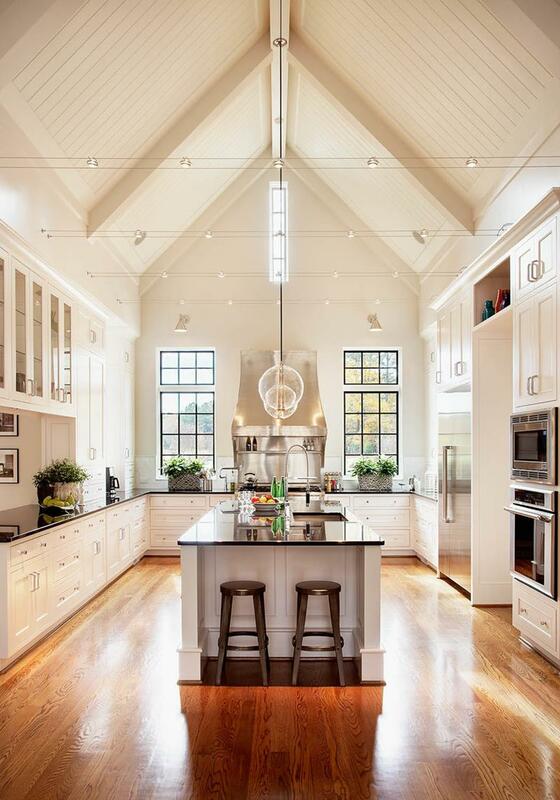 This kitchen is spacious and looks fantastic. 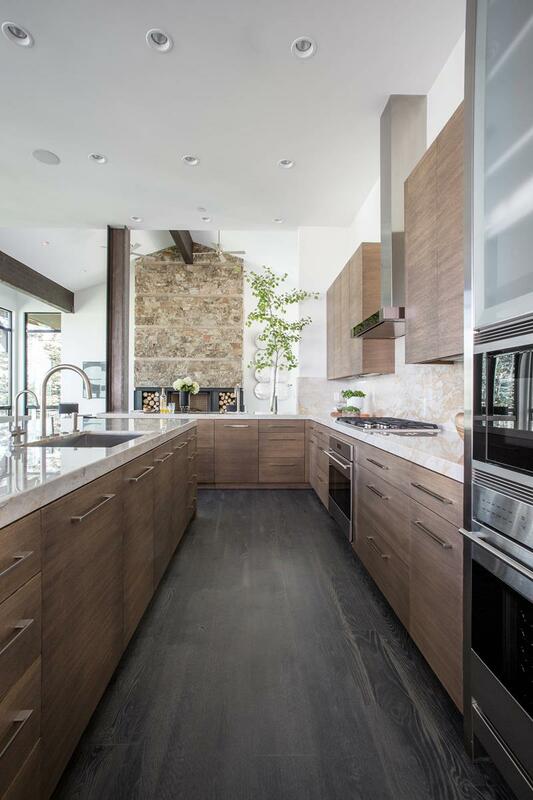 The sleek design really works with the dark hardwood and stainless steel appliances. 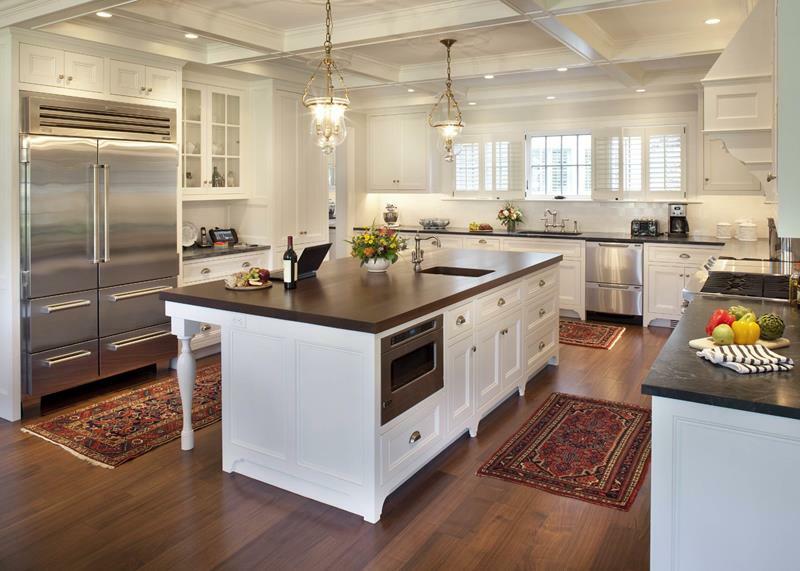 This dark hardwood center island is balanced by a wonderful color scheme around this kitchen. 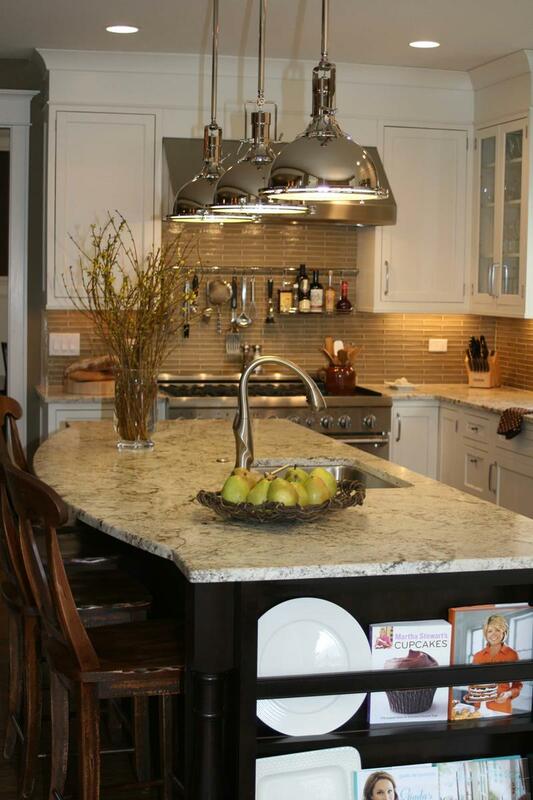 With a nice tile backsplash and stainless light fixtures, this is a great look. 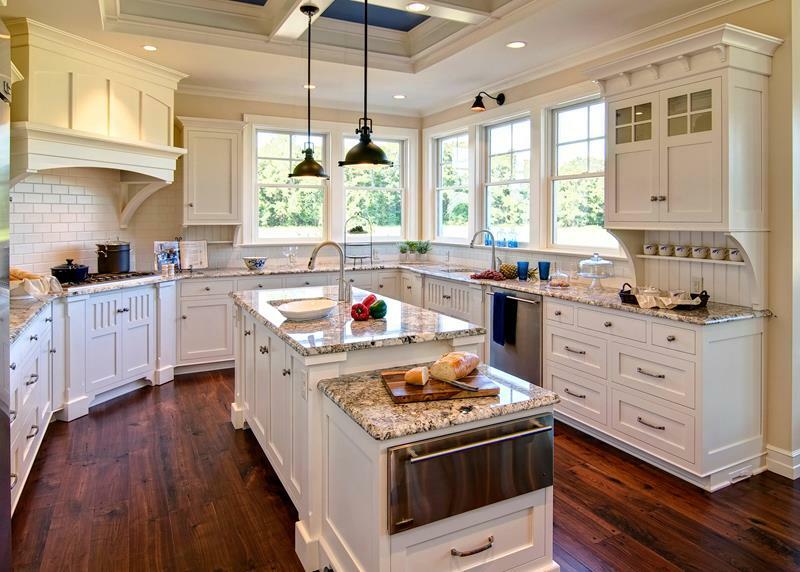 You will love the classy look in this kitchen. 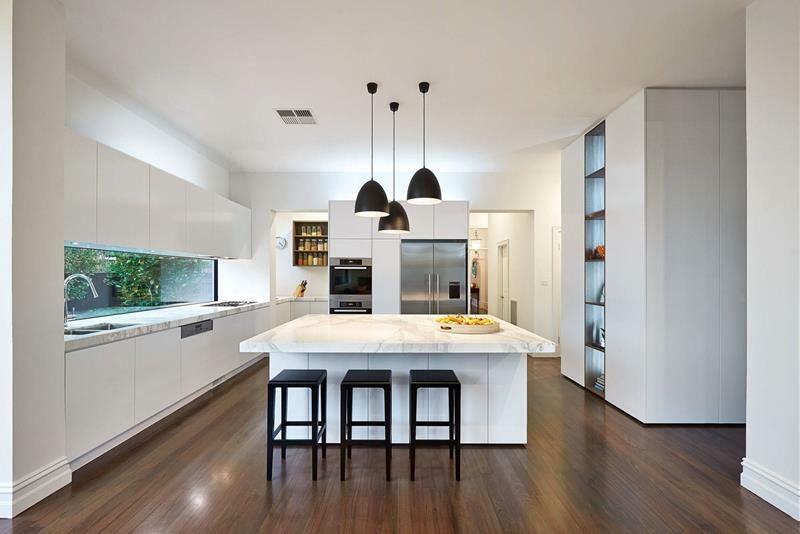 The light designs and marble countertops area a perfect match to the hardwood floor. 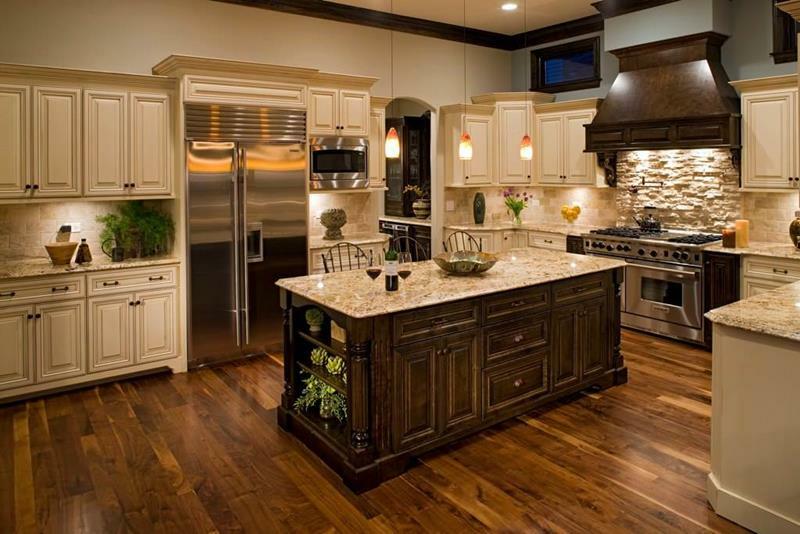 This traditionally designed kitchen features a wonderful center island and dark countertops to match the hardwood floor. 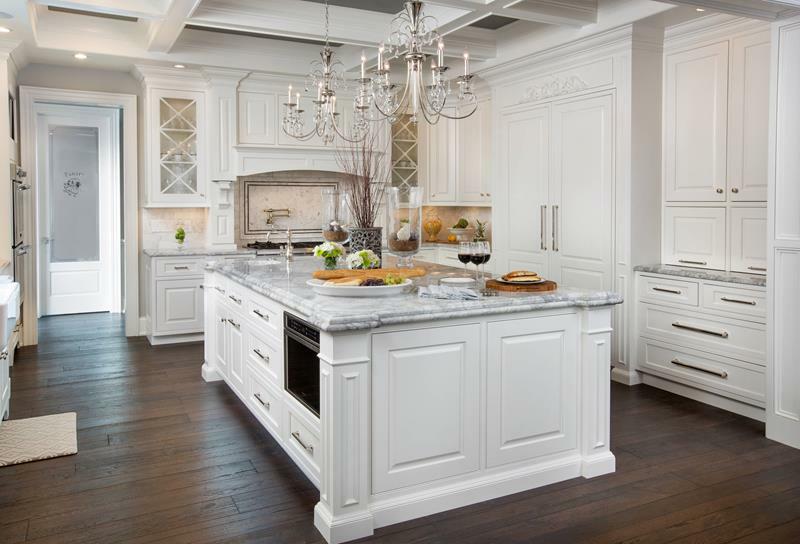 With a classically designed space, especially the wood designs used, this kitchen is luxurious and functional. It reminds us of an early 1900s style. 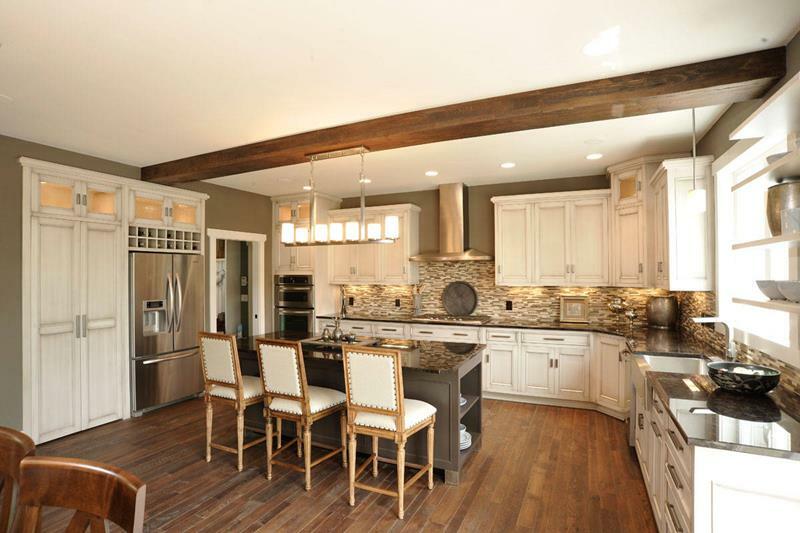 This kitchen wraps around with seating to give you and your guests plenty of room to eat and hang out. It is a functional and brilliant design. 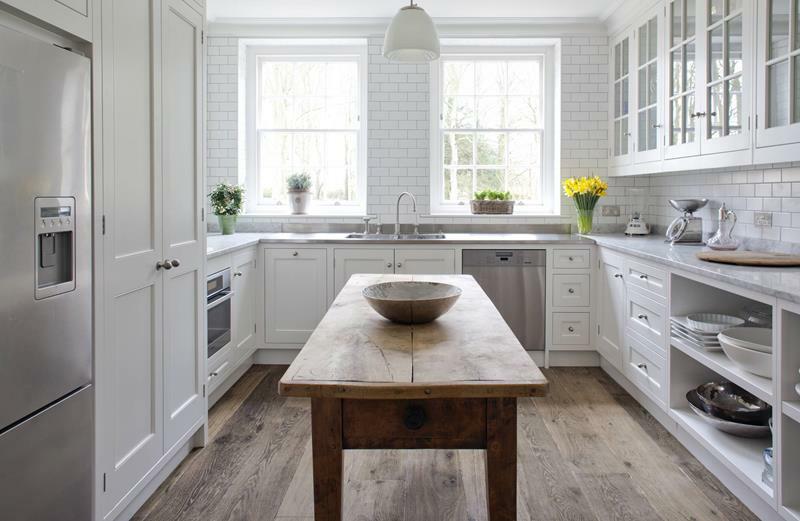 This kitchen gets the added counter space it needs from this durable and weathered hardwood table. This whole area has a classic design that you will love. 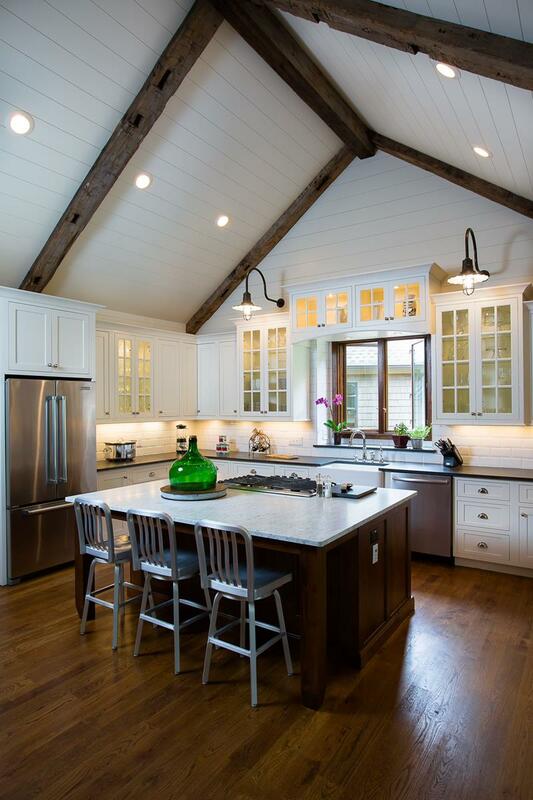 With a great pitched ceiling, this whole kitchen feels opened up. With the center island featuring the range, you have plenty of counter space here. Center islands don’t have to be large to serve a purpose. This one is dark hardwood and just the right size for this wonderful space. 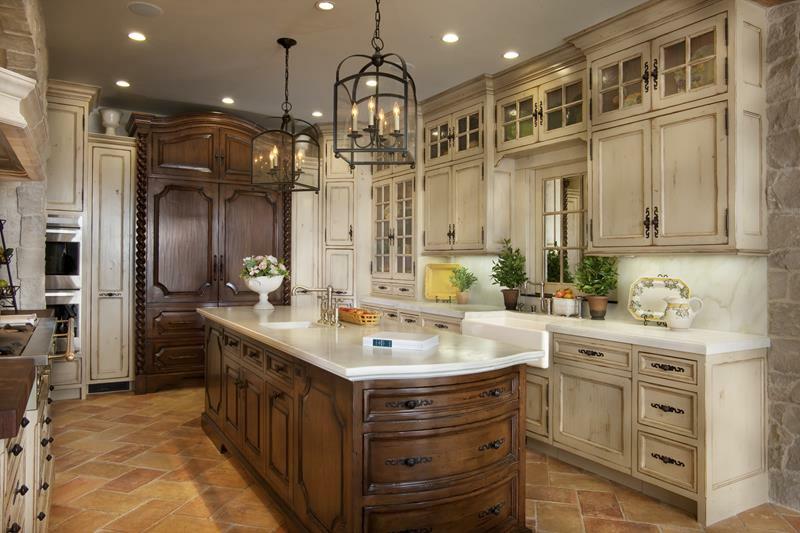 This kitchen uses a traditional design and wonderful lighting to make it look amazing. 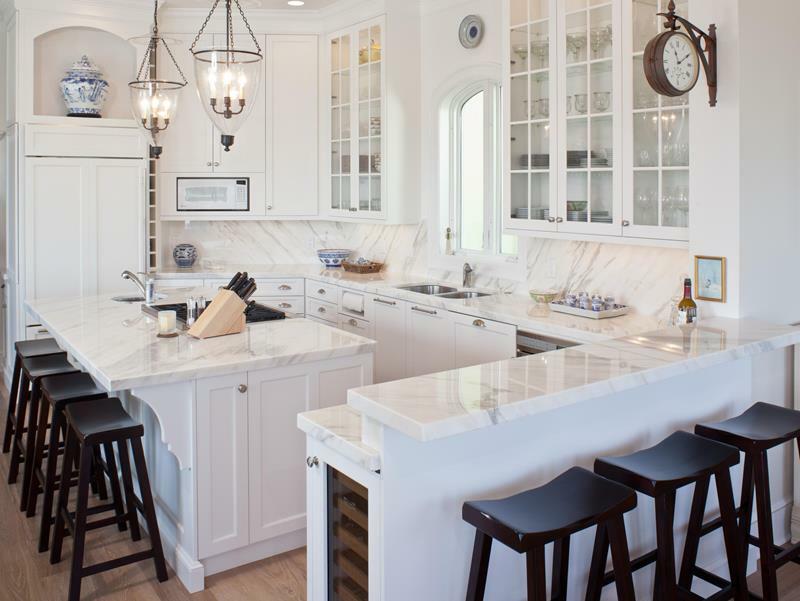 The display cabinets work well and the range on the center island frees up counter space. 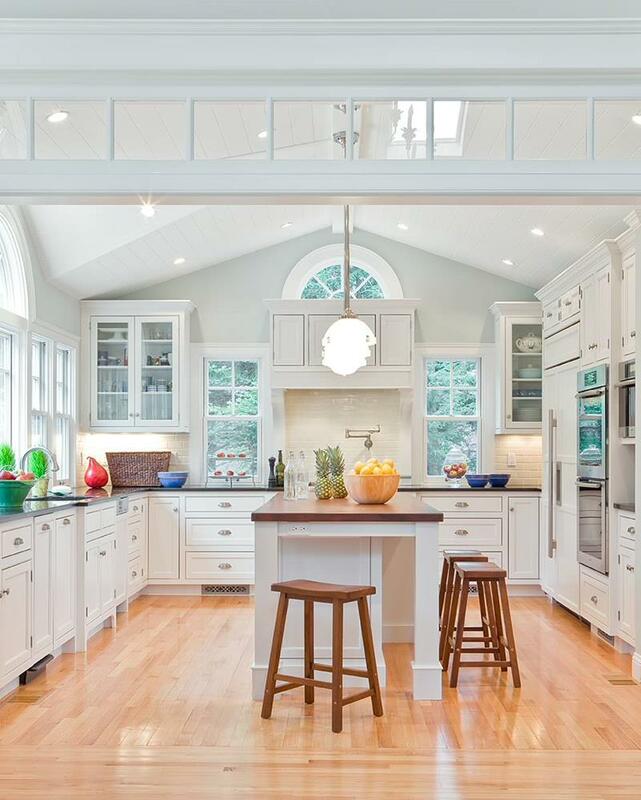 Whether form the skylight, windows, or built in lights, this kitchen shines in a wonderful glow. The high gloss floor is a perfect match for this space. We love floors that have a durable, long-lasting sense. 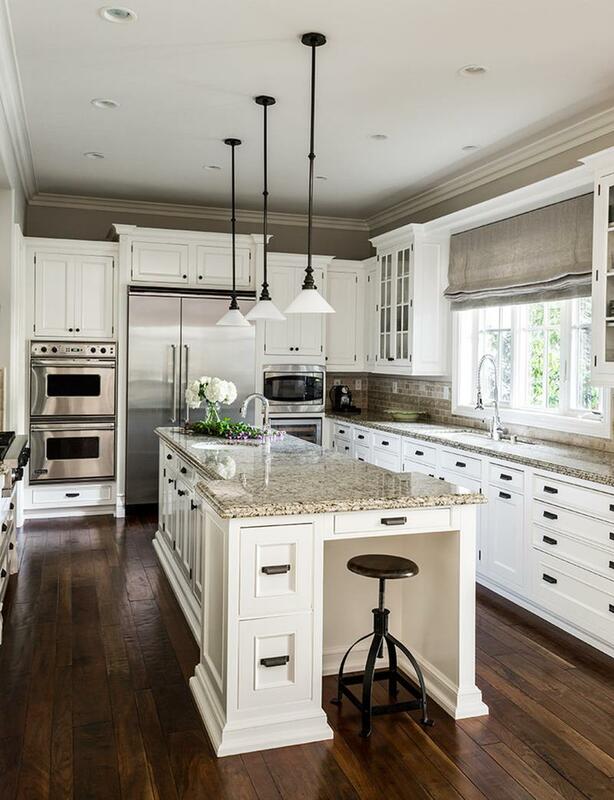 This one is matched by the bold and dark center island cabinets and cream-colored surroundings. 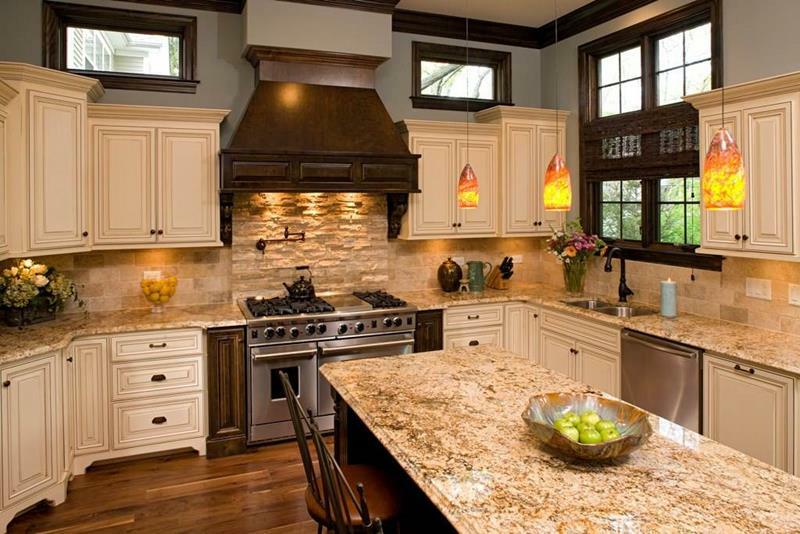 Starting with this beautiful center island and moving out, this kitchen has wonderful style. The classic cabinets are matched with a great tile backsplash. 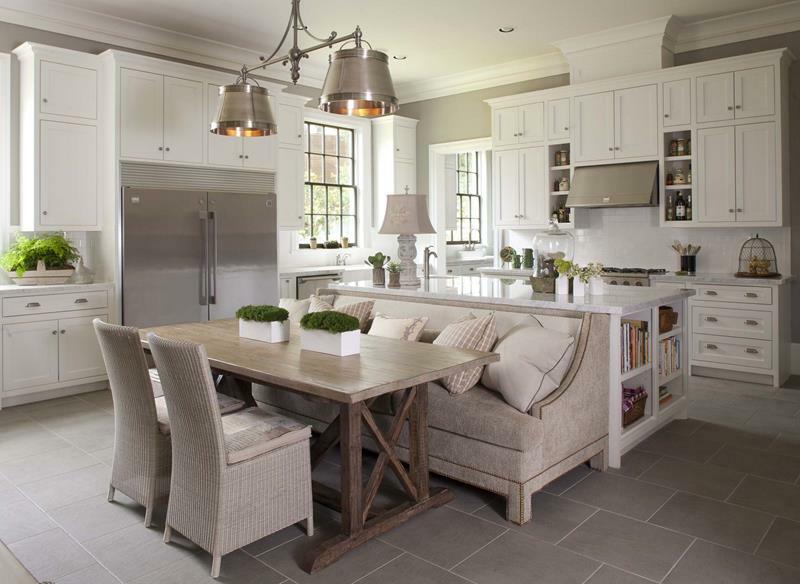 We love the idea of having a table and bench seating on the side of this center island. You don’t have far to go to eat your meal when you finish cooking. With a classic sense of style, this room brings you beautifully designed cabinets and elegant fixtures. The center island gives you all the space you need. 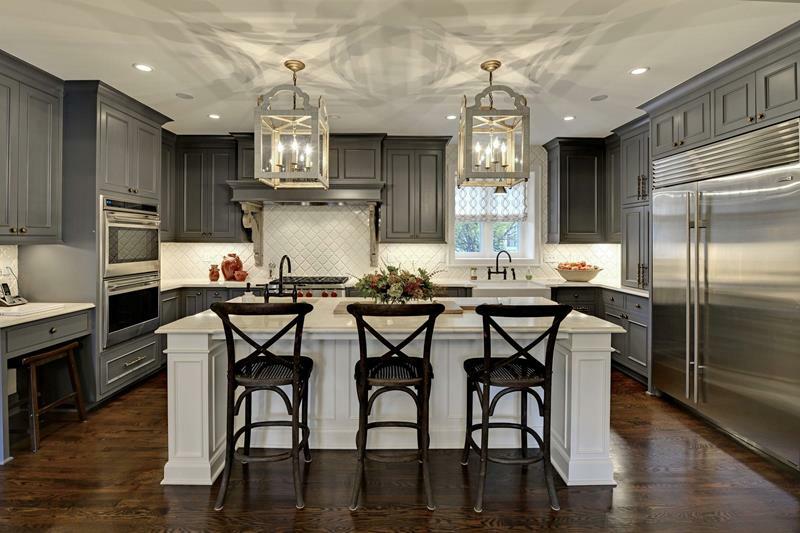 We love the contrast of the darker center island with the lighter cabinets around the kitchen. There is almost a modern rustic sense of style here. With a bold dark floor like this, you can really create wonderful contrasts by using lighter cabinets and fixtures. 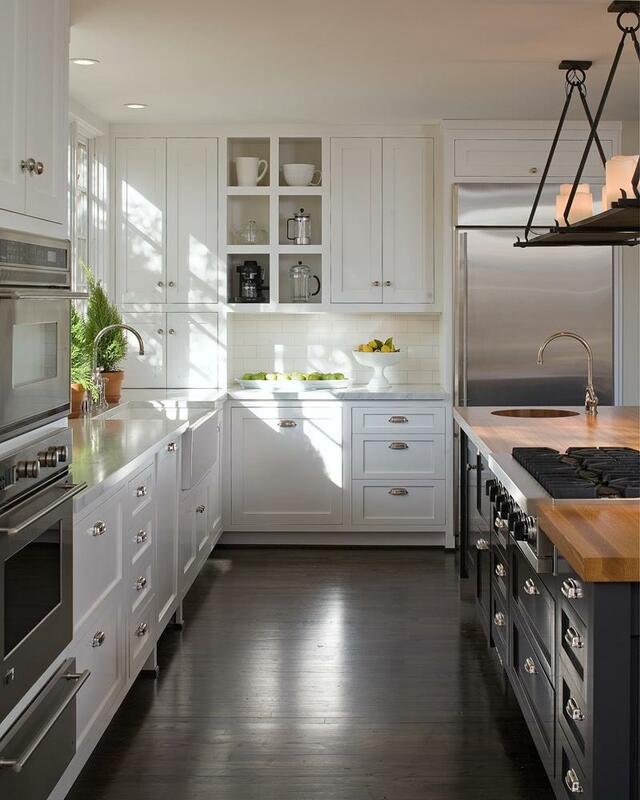 This kitchen uses a blend of classic cabinets and modern appliances to make it look great. The stainless steel blends well with the earth toned wall color. 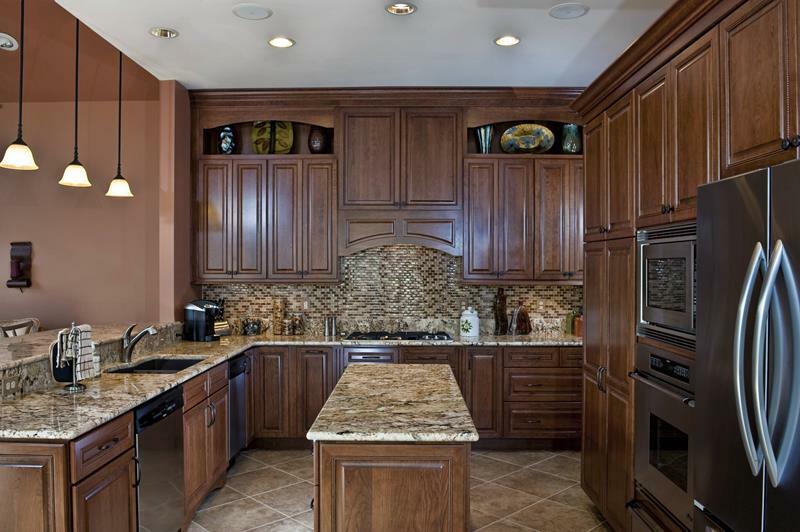 The center island here is large and functional, giving you plenty of room to move around this kitchen. The hardwood floor ties everything together. 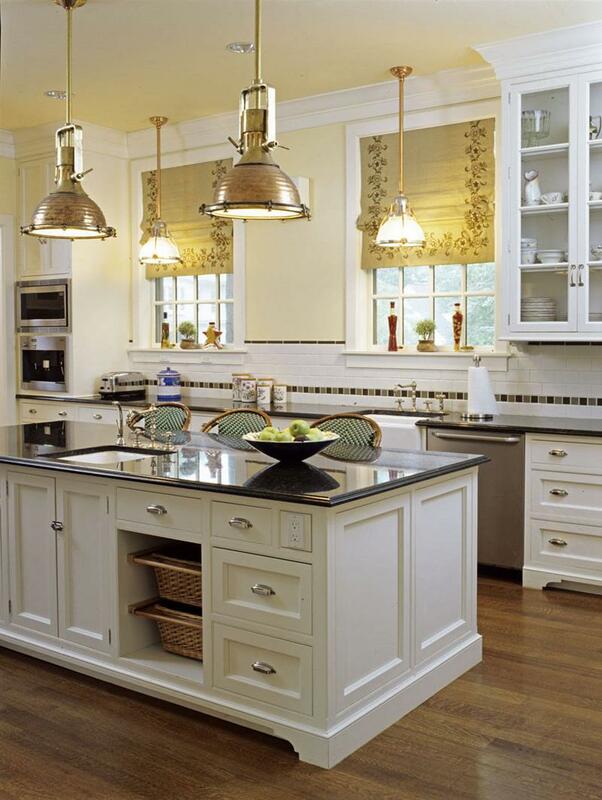 We love the decor furniture style in this kitchen and the way it contrasts with the light cabinets. The light fixtures really help bring this space some character. From the great hardwood floor to the gray toned center island, this whole kitchen combines wonderful styles to bring it elegance. Minimal and streamlined, that is a classic European sense of style. This kitchen goes for that and brings you a great look. 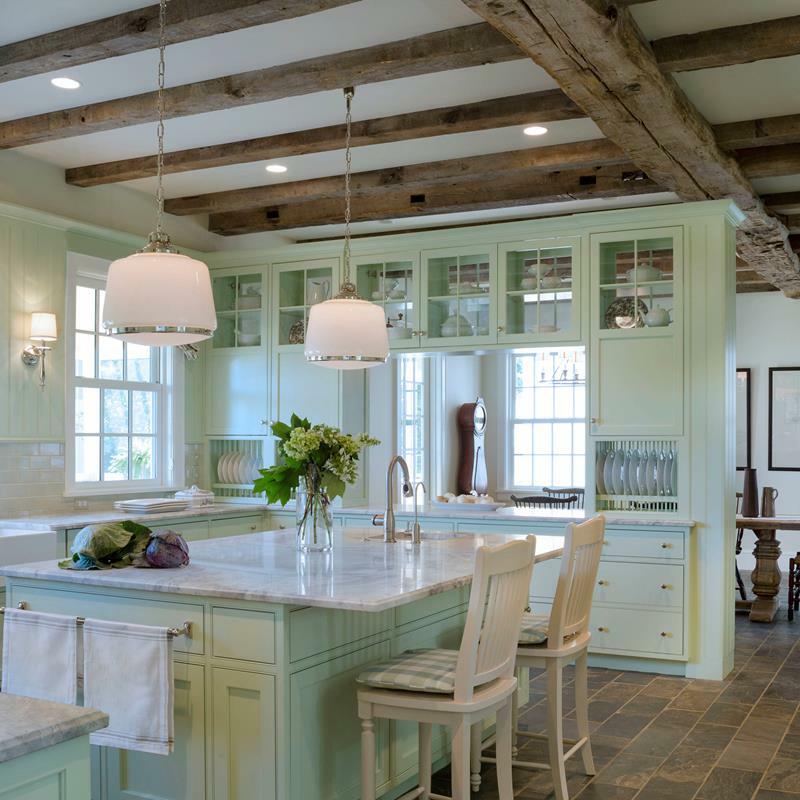 The beautiful sea foam green color used is such a great fit for the hardwood beams and darker floor. 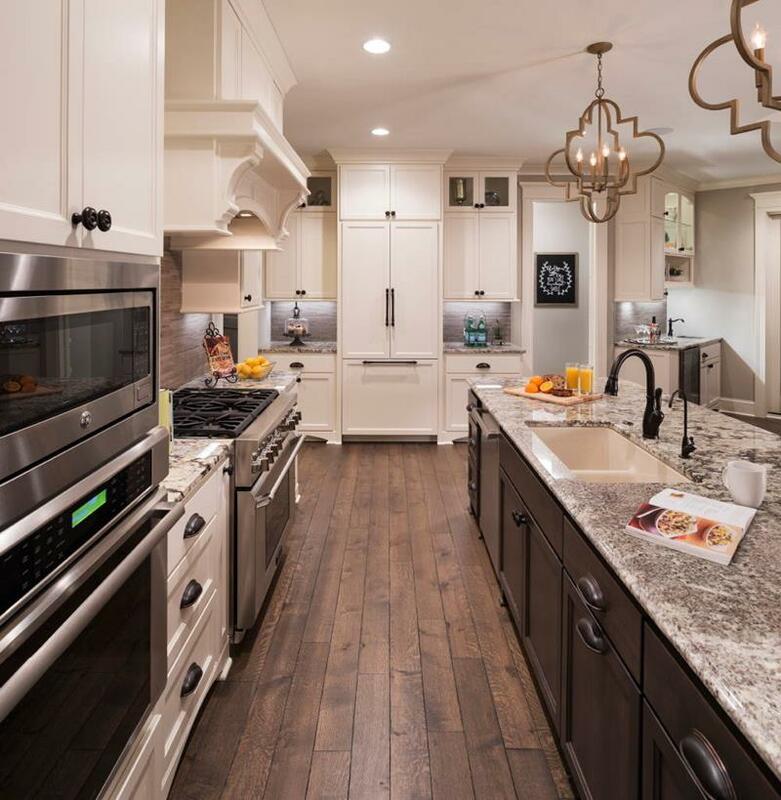 The beige used for these cabinets looks amazing under the lighting and perfectly matches the hardwood floor and center island. We love how the dark styles come together in this kitchen. 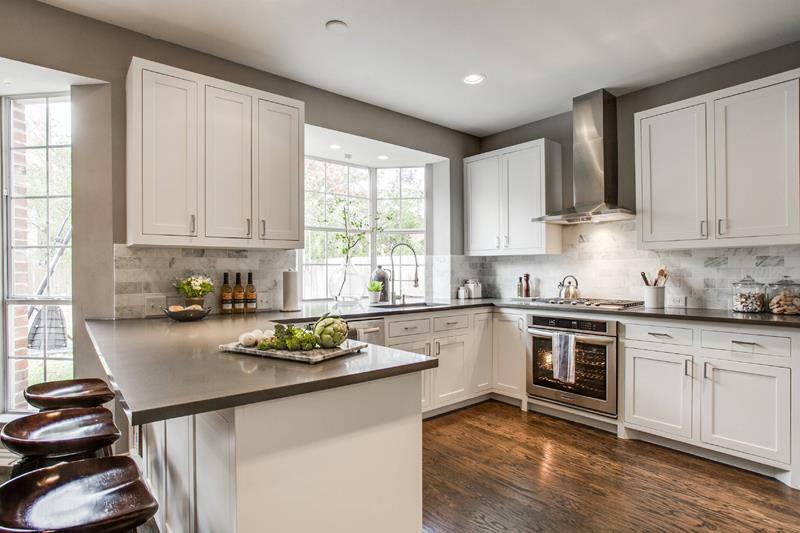 The countertops and backsplash bring texture to match the hardwood. The small, multi-colored backsplash is such a great match for these countertops. They both blend perfectly with the hardwood here. This kitchen space has an open floor plan that connects to the dining area. 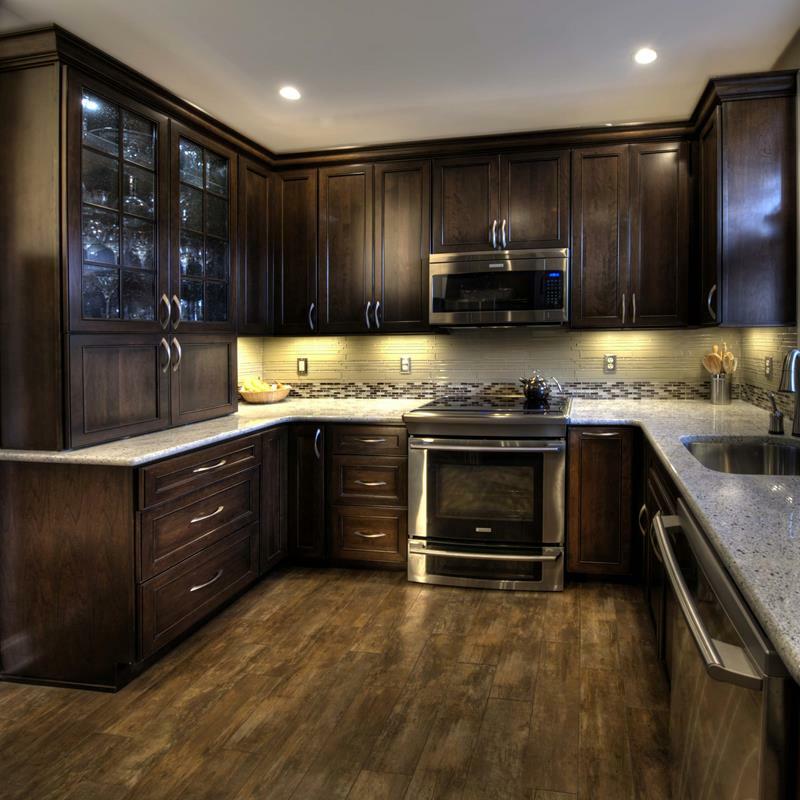 We love how the cabinets blend with the hardwood. Take a trip back in time to an elegant style. 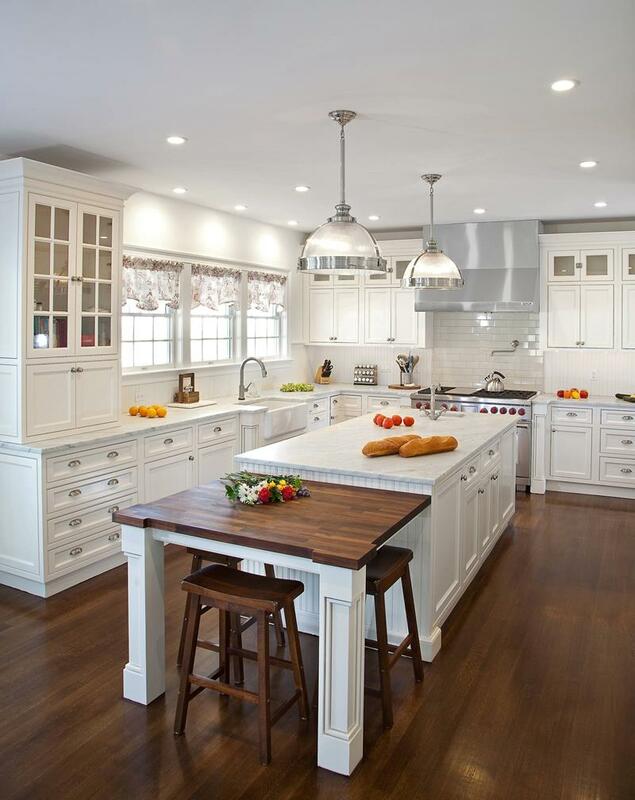 This kitchen uses a classic and timeless design to bring it a durable elegance. We love how this kitchen made some space for a small working area. It is a good fit for this area that blends a traditional design with contemporary elements. 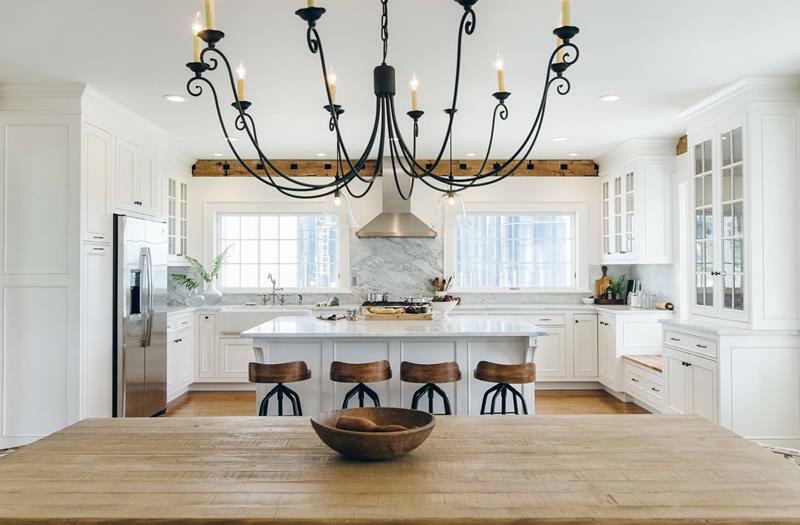 The light is allowed to shine in on this country style kitchen. 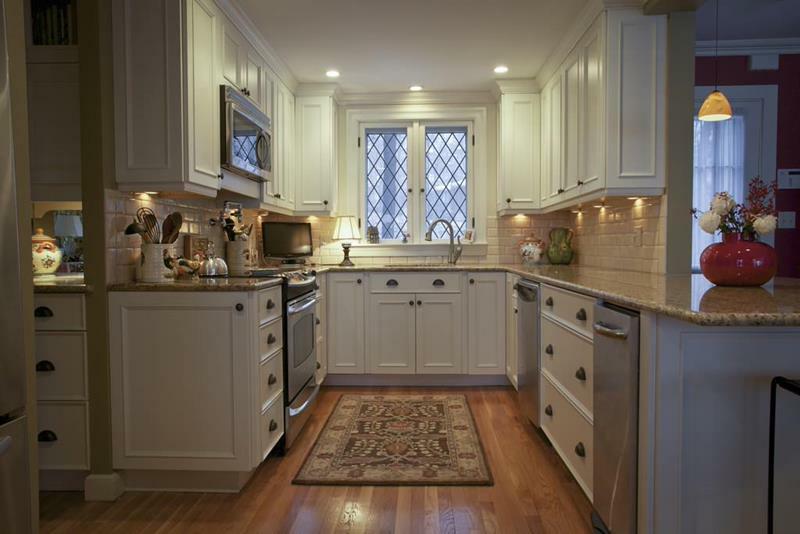 We have a wonderful darer floor matched with traditional cabinets. Photo by Dawn Willis, AKBD- Great Spaces Inc.
You have everything you need in this kitchen. 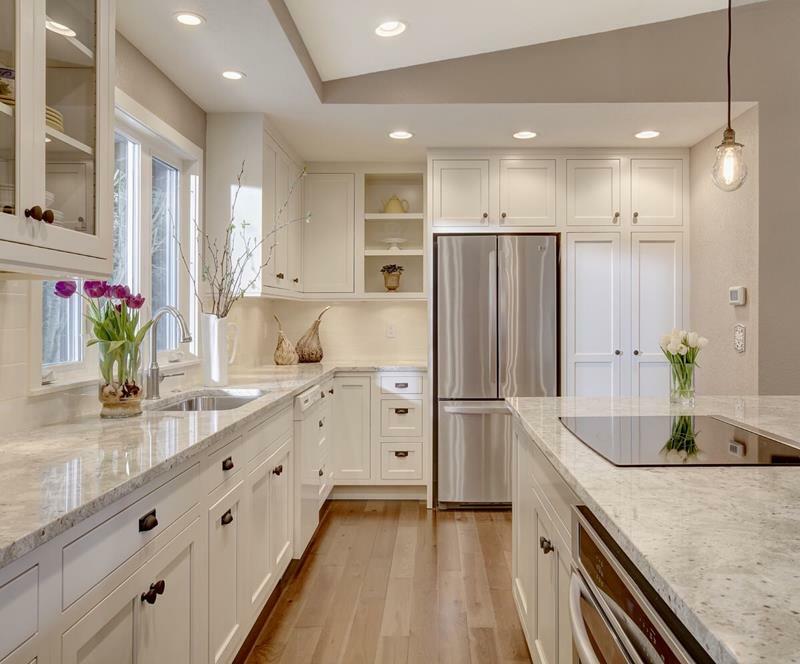 With a calmly lit space, you see how there is plenty of room on the counters to get everything done. Photo by The Working Kitchen, Ltd. 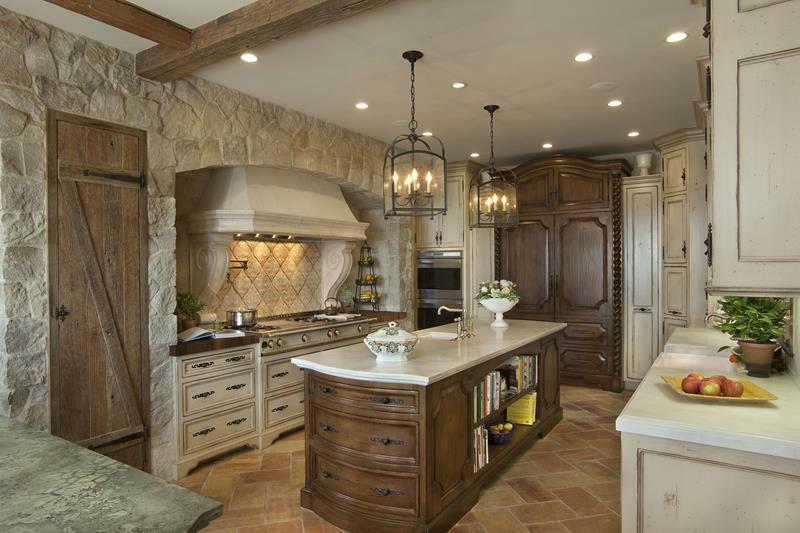 This light space uses wonderful fixtures and furniture to make a modern rustic style.